Capital One® Venture® Rewards Credit Card is a popular travel rewards card with a $95 annual fee (wavied for the first year) and a very straightforward rewards system. You earn an unlimited 2 miles per dollar on every purchase, with one lucrative exception. Earned miles can be redeemed at a set rate for a range of travel purchases. 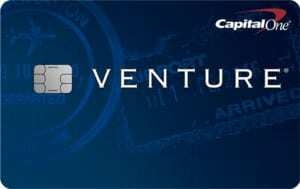 Capital One Venture Rewards is just one of many general-purpose credit cards. It’s comparable to its stablemate, Capital One VentureOne Rewards, which is a no-annual-fee version of the Venture card, but with some notable differences. It also competes with non-Capital One cards with annual fees ranging from $50 to $150, including Chase Sapphire Preferred, and British Airways Visa Signature. Compare this card to other travel rewards cards. You get 50,000 miles once you spend $3,000 on the card within 3 months from account opening. That’s worth $500 in travel expenses at redemption. Capital One Venture Rewards earns an unlimited 2 miles per dollar on every purchase, with one lucrative exception: hotel bookings and other eligible purchases made through the hotels.com/venture portal earn unlimited 10 miles per dollar spent through January 2020. There are no caps, categories, or restrictions. Once earned, miles don’t expire as long as your account remains open and in good standing. You can redeem your accumulated rewards for travel purchases (including airfare, car rentals, other forms of ground transportation, hotel stays, and more) in 2 ways. First, you can exchange your miles for account statement credits at a fixed value of $0.01 per point, either by manually selecting the purchase you wish to offset in your online account, or by calling Capital One’s customer service hotline and doing the same. Second, you can book travel directly through Capital One’s online travel portal and pay with miles instead of cash, again at a $0.01-per-point value. If the item you’re redeeming for is worth more than the cash value of your miles, you can make a partial redemption (minimum 2,500 miles) and pay the balance in cash. Capital One does allow you to redeem miles for non-travel items, including cash, gift cards, and general statement credits, but values for such redemptions vary widely, are subject to change, and are often less than $0.01 per mile. There is a $95 annual fee, but there is a $0 intro for the first year. There is no foreign transaction fee. The cash advance fee is 3% of the amount of the cash advance, but not less than $10. The balance transfer fee is $0, and the late payment fee ranges Up to $35. Cardholders get access to Capital One’s CreditWise tool, entitling them to a free credit score with their monthly online or paper statements. The score is also accessible on demand through account dashboards. CreditWise includes other credit-building and -education tools as well. This card requires excellent credit. 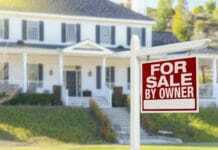 Any notable credit blemishes are likely to disqualify your application. Flexible Redemption Options. You can redeem accumulated miles for virtually any travel purchase, from long-distance airfare and luxury hotels, to economy car rentals and intercity train tickets. That’s substantially more flexible than branded travel cards such as the Gold Delta SkyMiles from American Express ($95 annual fee) and Citi Platinum Select/AAdvantage World MasterCard ($95 annual fee), which either restrict redemptions to airfare only or require you to follow complicated conversion systems (which often reduce point values) to redeem for merchandise of other forms of travel, such as hotel rooms. No Balance Transfer Fees. This card doesn’t charge a balance transfer fee, which puts it in a small minority of cards. Most competing travel rewards cards charge anywhere from the greater of $5 or 3% of the transfer amount to the greater of $10 or 5% of the transfer amount. No Foreign Transaction Fees. If you want to use a credit card while traveling out of the country, this is a good choice. Some other travel rewards cards, such as Citi Hilton Honors and Expedia+ Card from Citi, charge fees on foreign transactions up to 3%. No Penalty APR. This card charges no penalty interest. That’s a big advantage for cardholders who occasionally miss payments. Some competing travel cards, including the Expedia+ Voyager Card ($95 annual fee) and Citi Platinum Select/AAdvantage, charge penalty interest up to 29.99% APR. No Spending Categories. Capital One Venture Rewards doesn’t have any spending categories or associated limits to keep track of. You simply earn an unlimited 2 miles per dollar spent. That’s a big advantage next to competitors such as U.S. Bank FlexPerks Travel Rewards ($49 annual fee), which pays 2 points per $1 spent on cell phone purchases and 1 point per $1 spent on everything else. Comes With a Free Credit Score and Credit Tools. This card gives you a free TransUnion VantageScore 3.0 credit score with your monthly statement and on-demand through your account dashboard. It also has one of the most comprehensive suites of credit-tracking and credit-building tools of any travel card, thanks to Capital One CreditWise. Comparatively Generous Early Spend Bonus. Venture Rewards’ 50,000-mile early spend bonus (worth $500) isn’t tops among fellow general-purpose travel rewards cards. However, it’s one of the highest among cards with relatively low annual fees – or no annual fees, for that matter. High Rate of Return on Hotels.com Purchases. Through January 2020, purchases made at the hotels.com/venture portal earn unlimited 10 miles per $1 spent, with no caps or restrictions. That’s 500% more than this card’s baseline earning rate. No Preferred Brands or Partnerships. The fact that this card’s miles can be redeemed for any travel purchase is a blessing and a curse. Since no transaction type or travel-related brand is prioritized over any other, it’s difficult to use this card as a “travel hack” to lower your overall travel costs or earn free flights quickly. That’s a big drawback relative to branded cards such as the Alaska Airlines Visa Signature Card ($75 annual fee), which tends to offer much better redemption deals on long-haul flights, including with partner airlines, such as British Airways. Has an Annual Fee. While the $95 annual fee is waived the first year, it should still be factored into how much you can gain in potential rewards. The annual fee is not super-high by fee-bearing travel rewards cards standards, but it’s still a black mark next to the multitude of fee-free travel cards. Popular fee-free alternatives include the Expedia+ Card. Limited Travel Benefits. Venture Rewards doesn’t come with many travel benefits beyond the rewards program itself. If you’re in the market for a card that offers convenient or luxurious perks in the airport, on the plane, or in the hotel, look elsewhere. Branded cards typically have more to offer in this area. For instance, Gold Delta SkyMiles offers in-flight food discounts and priority boarding, while the Alaska Airlines Card offers a potentially valuable companion airfare discount and $50 credit toward a new Alaska Airlines airport lounge membership. Miles Are Worth $0.01 Apiece When Redeemed for Travel. The Venture Rewards Card’s miles are always worth $0.01 each at redemption when you redeem for travel expenses. This makes for less confusion when it comes time to redeem, but it’s not ideal if your aim is to maximize the value of your accumulated miles. Whether you redeem for a trans-Pacific first-class journey or a short-haul domestic economy hop, you can always count on a straight miles-to-dollars conversion. By contrast, brand-specific rewards programs (such as Gold Delta SkyMiles and AAdvantage) have widely variable redemption values, with miles worth substantially more (sometimes several times more) on long-haul international redemptions, compared with short-haul domestic redemptions. If your ultimate goal is a free flight to Australia or Asia, just about any brand-specific travel rewards card is superior to this card. Requires Excellent Credit. By Capital One’s own admission, this card requires excellent credit. That means it’s likely not an ideal first travel rewards card, even for travelers with good to very good credit. For an entry-level travel rewards card, consider the similar Expedia+ Card, which has the added bonus of being fee-free. Travel rewards credit cards are frequently pigeonholed as intentionally complex, confusing, and user-unfriendly. This sweeping generalization is built around a kernel of truth: Many airline and hotel credit cards have complex redemption schemes that assign wildly variable point values depending on numerous factors, discourage participants from converting points to other rewards programs, and impose annoying restrictions such as blackout dates. However, it’s unfair to say that all travel rewards cards are complicated, particularly when popular options like Capital One® Venture® Rewards Credit Card have increasingly come to dominate the category. With this card, you never have to worry about how much your miles are actually worth at redemption, or whether you’re even able to redeem for a given type of travel purchase. While Venture Rewards certainly isn’t the most generous travel card by any stretch, there’s something to be said for its forthrightness. The Capital One® Venture® Rewards Credit Card has a straightforward, flexible rewards program that makes it ideal for frequent travelers who spend enough to offset the $95 annual fee (waived during the first year), don’t have a preferred hotel, airline, or car rental brand, and want to be able to redeem for as wide a variety of travel purchases as possible. 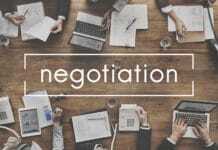 It’s not ideal for people seeking luxurious or convenient fringe benefits, nor those willing to stick with a preferred brand or brand portfolio to get better redemption deals. The simple and flexible rewards system, helpful credit tracking tools, eye-popping return on Hotels.com spending, and lack of a penalty APR and balance transfer fees are all great benefits. The annual fee, limited travel benefits, fixed miles-to-dollar value on travel redemptions, incompatibility with travel hacking, and the tough qualification requirements are definite drawbacks. Overall, this is a great card for travelers who prefer to be rewarded for all purchases and without a preferred airline brand or desire to conduct extensive research to find the best travel deals.